12.2 MP digital compact rangefinder-camera with a 36mm-equivalent 24mm Leica Elmarit ASPH f/2.8 lens (the sensor size is ASP why the 24mm "cropped" becomes a 36mm "full-frame." Auto focus area is from 60 cm to infinity, in manual focus or macro mode from 30 cm to infinity..
ISO range will be from 100 - 3200 ISO on a Kodak CMOS sensor, shutter speed 30 seconds - 1/2000 second. 3 frames per second in JPG or DNG, or DNG and JPG at the same time (so you can shoot color DNG files and black and white JPG files at the same time). Manual dials for shutter time and program mode. The circle on top, seen from front, is a pop-up flash. 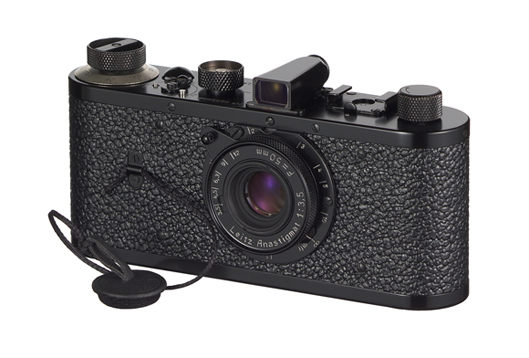 There is a clear design-reference back to the 1908 original Leica is quite clear. Price will be 1,995$ / 1,320 Pound / 1,550 Euro including an full working Adobe Lightroom 2.x software (retail price 299$). There might be an offer locally where you can pre-order the Leica X1 and get 3 years warranty instead of the normal 2 years. The interesting things about it is the sensor size, the lens and the manual control wheels. What I find less interesting is that the aperture and the focus controls are not placed on the lens but on the top (aperture) and on the back (focus). And then the lens stands out as the less pleasing part of the design. There's some rather crappy test shots at dpreview.com which I recommend you don't look at (which will make you immediately go look at them - I know: And if you do, take time to compare them to the equally crappy dpreview.com test photos made with the Leica M9. This will show you that the Leica X1 has potential to create very nice photos out of the box). German photographer Mario Theimer has done the http://www.dailyhongkong.net site with photos fro Hong Kong made with the Leica X1. 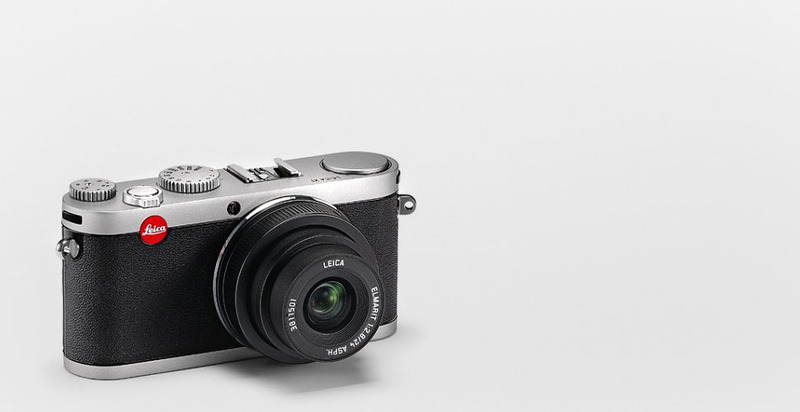 Leica X1: 124 x 32 x 59,5 mm is the size, ca 350 g with battery. External steel-grey anochize 36mm viewfinder will be available as an extra.